"This piece of plastic is a grinding intercontinental meeting with a highly destructive potential... At least, to the ears!! FOIBLE INSTINCT comes from Ukraine armed with 11 powerful and catchy Crust Grindcore songs. 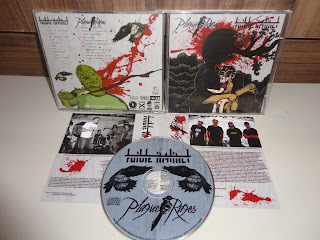 And it's followed by Mané and his renewed team in PLAGUE RAGES, bringing to us more 11 tracks of old and dirty Grindcore in Brazilian tradition!!"